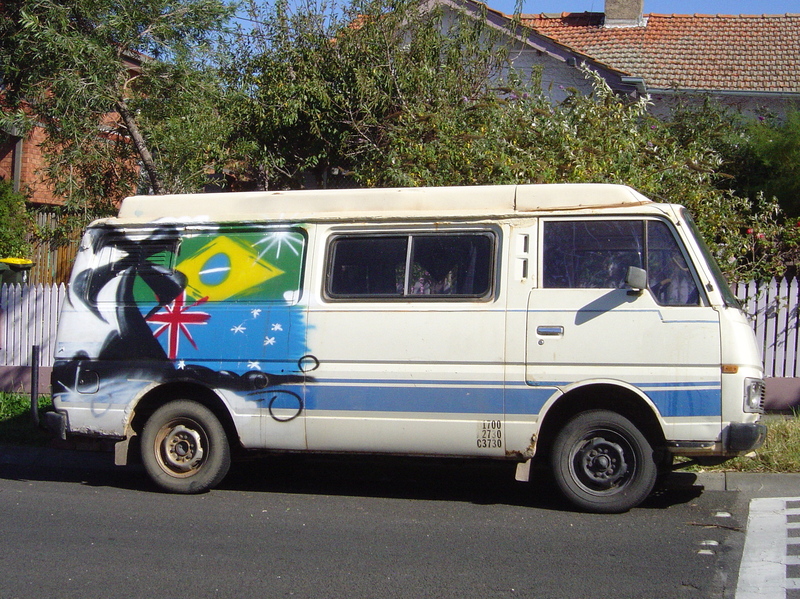 Once I saw a VW bug with a badly dented bonnet and painted across it were the words: “Skippy wuz here”. The one thing that you can modify on your car, truck or van that will not have any effect on the insurance is the paint. 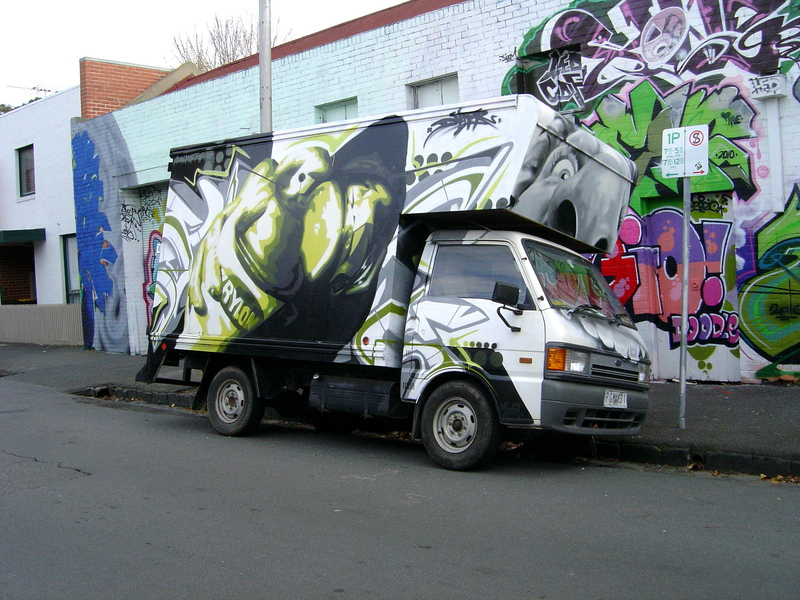 This is not about automotive aerosol art but rather street art aerosol work used on cars, trucks and vans rather than walls and railway carriages. I know that this is a narrow distinction because some street aerosol techniques started off in car customized paint jobs – and I would welcome some comments about the crossover influence. 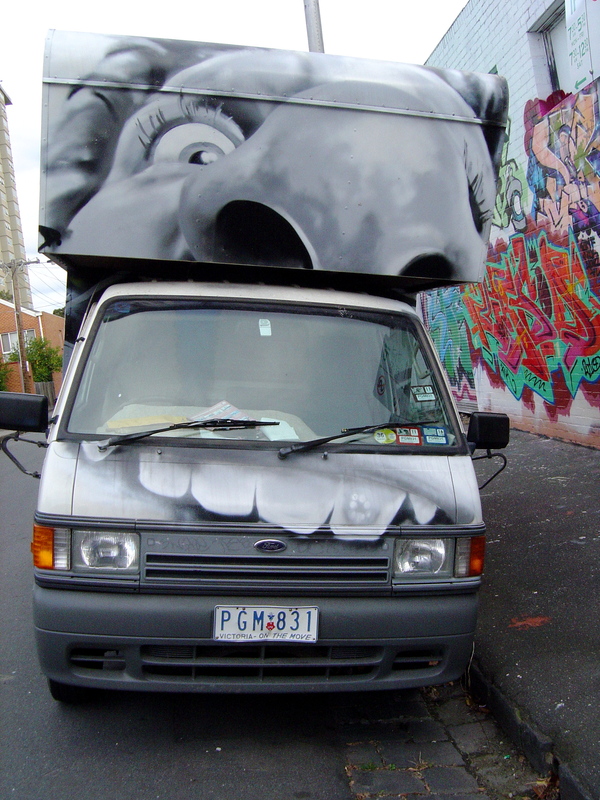 A lot of street artists love to paint trains but when it comes to painting their own car that is another matter. 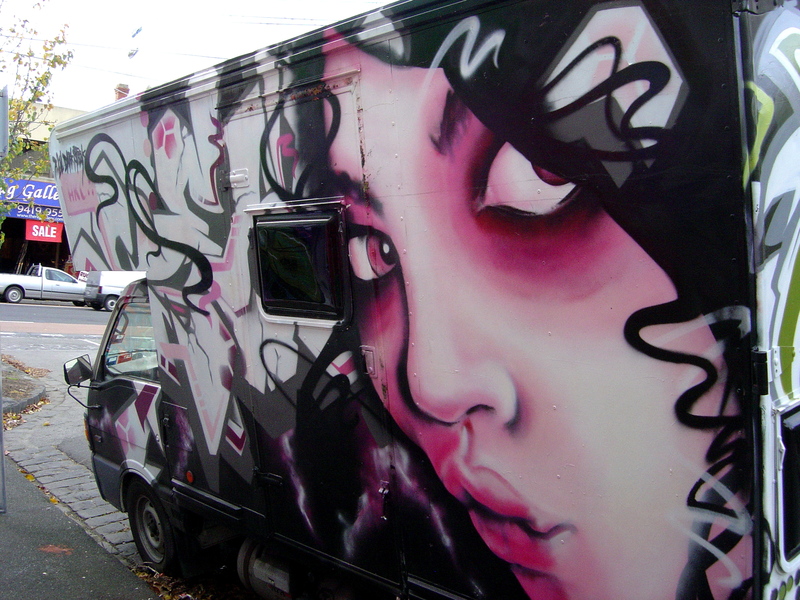 I think that I’ve seen more tattoos of street art than decent paint jobs on cars. People are willing to have permanent ink on their skin but they don’t want to do anything to their car’s paintwork. I am continually surprised, given how personally attached many people are to their cars, that they don’t personalize them more but then I don’t own a car – I use a bicycle or public transport. It appears that most people concerned about the resale value of his or her car rather than personal identity and enjoyment. 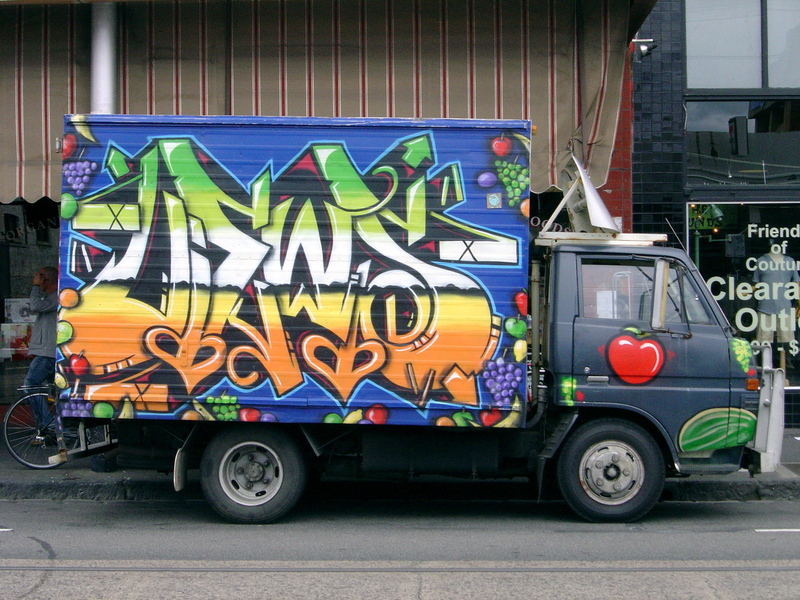 Here are some photos of automotive graffiti that I’ve seen around Melbourne in the last few years. 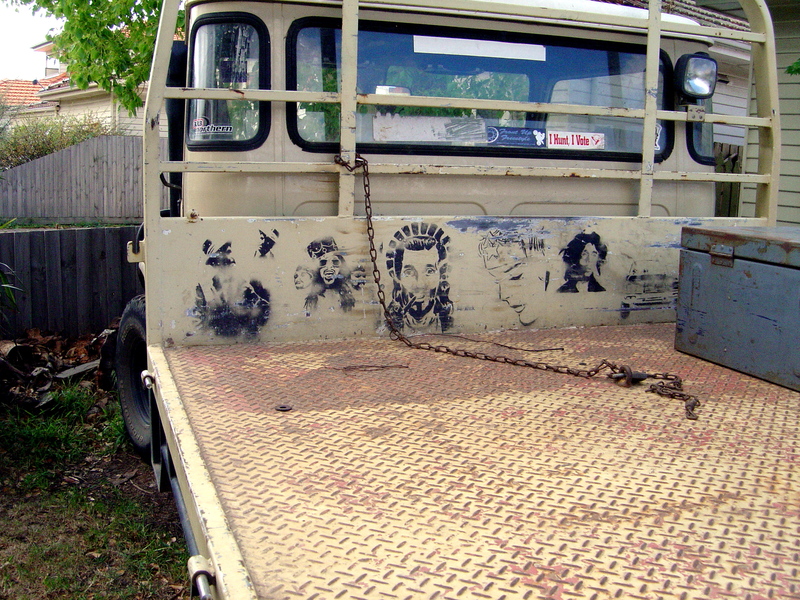 For more images of automotive graffiti along with some other decorated cars, see “Top 20 most bizarre graffiti cars”. And check out JaneK’s article on Scott Wade’s reverse graffiti on dirty cars: “Masterpieces of Reverse Graffiti on Cars” (some of his work is also featured in the Top 20 most bizarre graffiti cars) – it is a good idea but Wade’s work is kitsch and it looks like the dust has been specially added.